In the wake of the arrests of several people, including six Franciscan and Augustinian seminarians, during a peaceful protest on 8 October 2015, Catholic activists in West Papua have taken the lead in denouncing police aggression. Catholic activists in Indonesia's Papua province [West Papua] have denounced what they say are repressive measures after police detained six seminarians taking part in a peaceful rally in early October. Six Franciscan and Augustinian seminarians had joined other rights activists in the Oct. 8 rally held in the provincial capital of Jayapura. The demonstrators were calling on Indonesian President Joko Widodo to investigate the unresolved December 2014 killings of four student protesters, when armed police broke up the demonstration and hauled away several people, including the seminarians. "They, carrying weapons, got off their truck and seized all [belongings] such as posters that we brought," Yulianus Freddy Pawika, a Franciscan seminarian, told ucanews.com Oct. 13. "We were then taken into the truck." Pawika said police interrogated the protesters for 90 minutes before releasing them. "We just wanted to hold a peaceful protest," said Pawika, who is also a member of the Franciscan-run Secretariat of Justice, Peace and Integrity of Creation in Papua. "We are called to defend Papuans who easily become victims of violence and the police's brutality." Indonesian authorities are frequently accused of repressive measures in Papua and West Papua provinces, where there has been a long-simmering independence movement among indigenous Papuans, who are predominantly Christian. When they were arrested, the seminarians had been demonstrating for an investigation into the December 2014 killings of four students. Those students died when protesters rushed a military post in a remote district in Papua. The protesters had been outraged by a previous incident in which locals had allegedly been assaulted during a Christmas celebration. Pawika said Catholics in Papua have an obligation to take action under such circumstances. 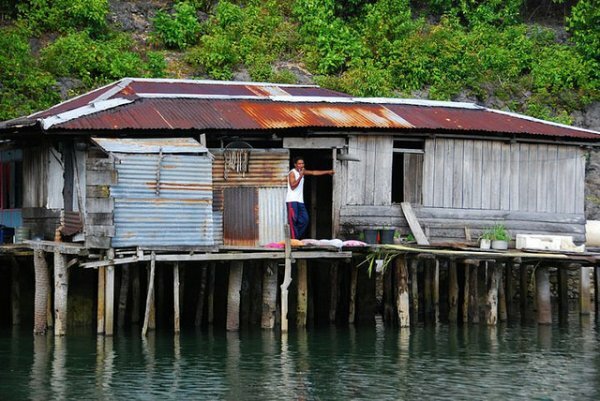 "The Catholic Church exists in the land of Papua to save human beings," he said. "So when human beings are killed, we are obliged to defend. This is our call. We don't feel comfortable living in the convents if the people we serve are easily killed." Police officials, however, insist the issue of the Oct. 8 protest is settled. "The case is resolved," Papua's police chief, Inspector Gen. Paulus Waterpauw, told ucanews.com in a text message. "The police have delivered an apology. Both parties have understood each other." For people at the Oct. 8 protest, however, the police actions indicate a larger problem. "It shows that those fighting for human rights have become targets of violence committed by the police," said Peneas Lokbere, coordinator of the advocacy group Solidarity for the Victims of Human Rights Violations in Papua, which organized the Oct. 8 protest. Father Neles Tebay, a priest who coordinates the Papuan Peace Network advocacy group, also questioned the police actions. "Every peaceful protest is faced with a military approach," he said. "How can it be?" In September, Bishop John Philip Saklil of Timika decried military and police aggression in Papua. He highlighted five specific acts of violence, including an Aug. 28 case in which two soldiers were accused of firing on a graduation party in a church, killing two people.